Wave makers for 260 litres please. I'd like to maybe try something different to jaboe.I was thinking Tunze and hoping they are less noisy.I can't afford vortex.give me some ideas and how many would I need .The tank is a rectangle. I'm going for the Rossmont power heads with a controller. Italian make haven't put them in the tank yet, they look good quality certainly better than the Jecod RW8 s I have. Thing that annoyed me with those is the blue tooth link stopped working. Tunze are good in function but unreliable ime, Jaebo much the same but more realistic pricewise. Ive lately settled on aqua medic eco drift. Very similar to Jaebo but spares are easier. Plus rated the same as a Jaebo thier much more powerful. They're look cool but expensive with a controller. Will look at others. How many of the 10.000 would I need for 260 litres rectangle. They are a bit , but as I was needing 2 heads I went for this as it also had the controller all in one pack , other heads I'd priced were going to cost the same and still required a controller on top . The turn over for my tank with sump pump flow (-losses) included is about 50x/ hr total when all running at once. Having more heads can help eliminate dead spots in the tank which which means more detritus in the water column which in turn means it then has the ability to go down the overflow and be filtered out . Some of the low and medium flow corals will do ok if placed out of direct flow up past the 50x turnover mark. 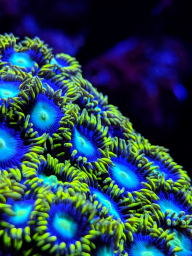 Corals from the medium flow group such as: xenia and leathers will still thrive in high flow. Fleshy LPS will have to be placed in a relatively dead spot to survive in a high flow aquarium. 50x+ turnover introduces a whole new group of corals known as small polyp stony (SPS). SPS coral needs very high flow to keep its polyps clear of waste. 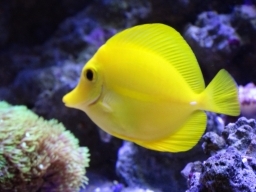 The amount of flow is dependent on what you plan to keep ?, I'd like a mixed reef so have gone for 50x flow . One of the 10000 l/hr pumps added to say a 4000/5000 litre return pump (minus losses) give you 50x flow but the power heads may be better split two 5000 l/hr pumps to give better distribution of flow as opposed to all from the one place . what im thinking of doing is something like a Jaboe dc 6000 sump pump then maybe one of the 10,000 and then using one of my rw 4 as well.Ideally id like to keep sps and lps eventually . Yeah I think that would work for you then with the amount of flow given there you'd be above the 50x mark .